Today there are approximately 14 million camels around the world, only a small amount of these are in Sinai. 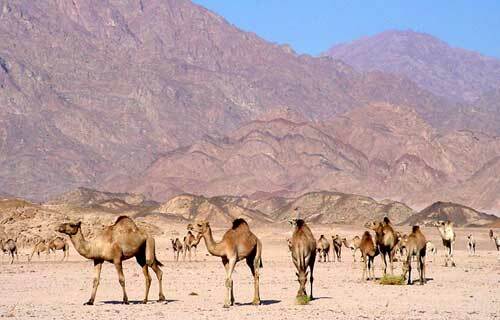 As long as there are bedouines wandering in the deserts and mountains, there will be camels in Sinai. 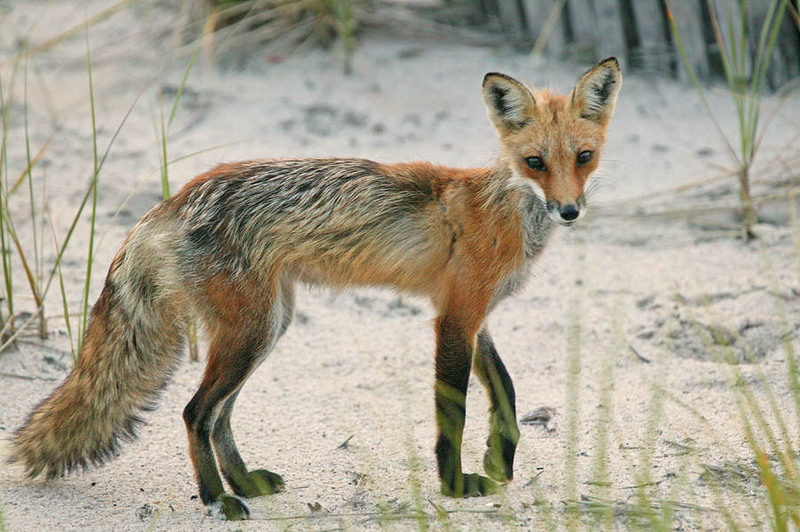 In sinai you find quite a big amount of foxes, close to inhabited areas, they are mostly hunting around for food and water, sleeping in open air one should carefully be hiding food at night, foxes will definitely search for it, you find the red fox and the rarer sand fox. in south sinai especially in the area of Ras Mohamed you might find optimal conditions if you consider taking a picture of a fox very close to you. These animals have become rare. in the past, they are mainly in herds, in larger, rather open and sandy territories. Gazelles are very timid and therefore it is quite difficult to get closer in order to observe them. 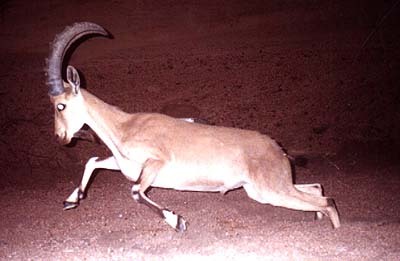 Ibexes have been hunted in the early 20th century so much that they have almost become extinct, for the last decades the number of ibexes has increased again and is mostly found in the region of Gebel Katrina. For Sinai there is mainly two reptiles worth mentioning; the big and rare Dabb Lizard and the small Sinai Agama that has a blue body. Snakes have been helt in mythical or religious awe by various cultures throughout history. The ancient Egyptians worshipped them as a symbol of fertility. 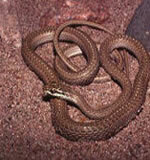 Today snakes are found in the rather rocky and sandy areas. The Golden Eagle, the Imperial Eagle, The Lesser Step Eagle are migratory birds from north mediterranean areas that spend the winter in Sinai and other parts of the Red Sea. 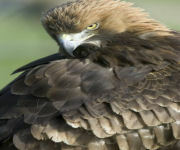 With a wingspan of 6-7 feet and a length of 30 inches, The Golden Eagle is found in mountainous regions, canyons, shrub land. 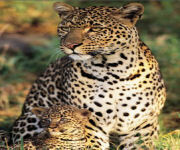 It preys primarily on mammals such as rabbits and hares, though reptiles and rodents are also part of its diet. Each August there are approx. 500.000 white storks to be seen in Sinai. They normally arrive very exhausted and partly in poor physical condition because of pesticides commonly used in Europe and overland electrification network. They are generally coming close to Ras Mohamed and Nabq, where they find the mangroves protecting them. There are many golden spiny mouses and in rarer cases you find the Sinai Rock Hyrax.